The idea behind big short films has always been to spread more positivity. Today we had a wonderful time at the Sri Ramakrishna Kudil, trichy. 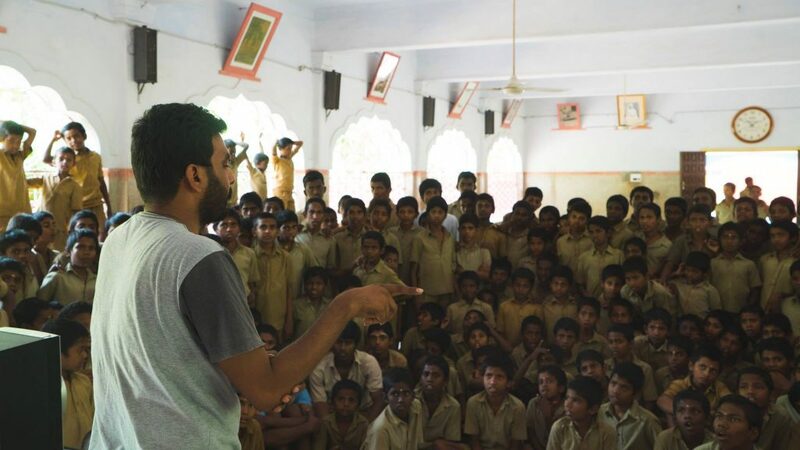 We showcased the films of the real life heroes we had shot, to the students there. For those who don’t know about the kudil, it is a home/haven for the orphaned/abandoned kids where they are educated and trained with life skills till they graduate to make a living. The astonishing fact is that, it is the students who cook, maintain, clean, and DO EVERYTHING here. Owing to the busy routine, their connect to the outer world in a larger level is minimal. It was a powerful experience when they watched every big short film and reacted to it in their own way. We had a dialogue after every film, and they responded with excitement. Felt good and the learning was mutual. Looking fwd to do more of such sessions in schools/colleges/corporstes ahead, where these heroes could be role models!